Not only did the Angels trade manager Mike Scioscia’s son, but in return, they received Trevor Gretzky, son of hockey legend Wayne Gretzky. Trevor isn’t the only Gretzky in the news. Mz. Paulina Gretzky, Trevor’s sister, has created a buzz posing scantily clad for Golf Digest – she’s not a golfer (her fiancé is). 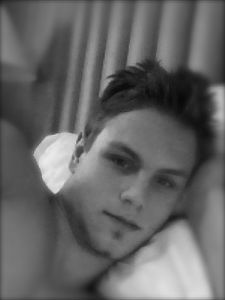 In fairness to the ladies, I present Vladimir Sobotka (back to hockey, right?). Michael Sam was a college football player and he’s entering the NHL draft, held in late June. He’s also announced he’s gay. Dale Hansen had this redonkulously astute commentary about that (damn, he’s good). HE’S GOT LEGS: Ever dreamed of cycling up Mont Venteaux like the pros in the Tour de France? This guy did it on a city rental “Boris Bike.” Those things weigh as much as a 6-year-old. Toss on a 50 lb. backpack and climb a long, steep neighborhood hill a few times on a three-speed bike with a rack on the front, if you’re not grasping the accomplishment. In related news, Albuquerque is host to a future pro cyclist – I’m sure of it. Check out this story on my buddy Jonah Thompson, as multi-talented and athletic a kid as there ever was. Start saving that spare change now. Eventually, you’ll have a chance to put your money on him. HE’S GOT TEETH (JUST A FEW, THOUGH): I’ve watched my share of videos of stunt people riding their bikes on some crazy stuff, meaning obstacles you’d be hard-pressed to walk on without risking life and limb. Of course, the stunt dudes are impossibly talented, good-natured folks who seemingly nail everything they try. Then you watch the outtakes (these may look familiar). Okay, so they don’t nail everything. Still, it’s all in good-natured fun. I’ve been tempted to switch careers to be one of those happy-go-lucky guys. Given the concussions and knee surgeries, I’m thinking Olsen might not be so good-natured should he make it to senior citizenhood. Surely most of those stunt guys have comparable lists of what happens the many times before success. Guess I’ll keep my desk job. TIMBITS: Remember back when South African sprinter Oscar Pistorius was my No. 4 of the Top Ten coolest things about 2012? He’d made history as the first double amputee to compete in the Olympics, followed by earning gold in the Paralympics. As of late, Pistorius spends his time in a court room defending himself as the product of a high-crime, pervasively gun-toting culture, while his personal anxiety, insecurity and jealousy are questioned, as well. He’s charged with shooting and killing his girlfriend, who he says he believed to be an intruder. Seattle’s Russell Wilson was paid the least of NFL quarterbacks and Peyton Manning, playing for Denver the 2013-14 season, was paid the most. Q: Guess who won the 2014 Super Bowl? A leftie named Bubba (scroll down) won the Masters (golf). It’s the second time in three years for him. For his skill and mental stamina, he will receive a check for $1.62 million. I say he did rookie Jordan Spieth a favor. Nothing good comes of reaching your top goals so early in your athletic career. He’ll be back. Michael Phelps is competing again for the first time since the 2012 Olympics. As for those spring allergies, I hear bee pollen helps.